The Jabsco AC macerator pump unit is the ideal answer to waste handling problems for marine, recreational vehicle and domestic uses. The macerator section grinds waste down to a particle size of 1/8" maximum so it can be pumped easily through a 1" hose discharge line. 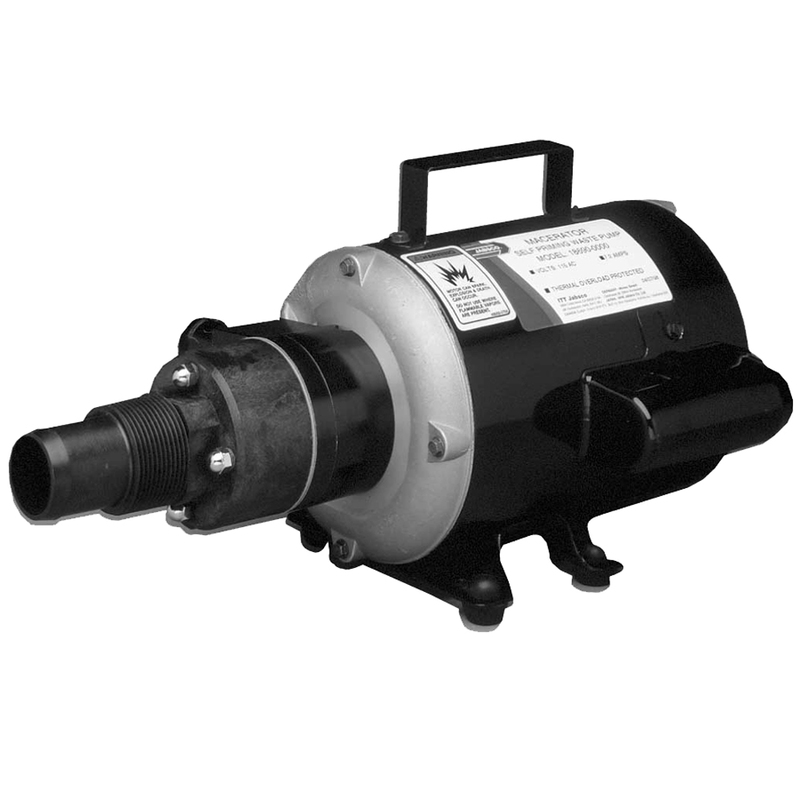 The pump is self-priming, permitting the unit to be mounted above or below the tank in a convenient location. For optimal efficiency, locate pump as close to the waste source as practical. Empties a 30 gallon holding tank in only 3 minutes. The waste pump will macerate and pump all waste and tissue normally found in marine waste systems. IT WILL NOT HANDLE HARD SOLID OBJECTS, SANITARY NAPKINS OR RAGS.